Native soils and forests of western Washington absorb, store, filter and slowly release clean water to rivers, streams, wetlands, lakes and coastal waters. The rich diversity of life in marine and fresh water, as well as on land, depends on clean water to thrive. As the region grows, native forests and soils are replaced with roads, rooftops and other hard surfaces. When it rains or snows, more water flows from these hard surfaces than from undisturbed areas. This runoff carries oil, fertilizers, pesticides, sediments, and other pollutants downstream. In fact, much of the pollution in streams, wetlands and Puget Sound now comes from stormwater flowing off developed areas. The added water and associated pollutants from developed lands are damaging water resources and harming aquatic life in western Washington. Can be shaped and sized to fit your yard. Are constructed with soil mixes that allow water to soak in rapidly, treat runoff, and support plant growth. Can be landscaped with a variety of plants to fit the surrounding palettes. ​Enhance the landscaping and appearance of your property and yard. Provide habitat for beneficial pollinator species like bees and birds. Filter oil, grease, pesticides and other pollutants before they reach groundwater or the storm drain. After these pollutants reach a storm drain, they eventually travel to streams, wetlands, lakes and coastal marine waters. Reduce storm flooding in the neighborhood and reduce erosion in streams by absorbing runoff from hard surfaces like roads and roofs (impervious surfaces). Increase the amount of water that soaks into the ground to recharge local groundwater supplies. This groundwater supply is the source of your well-water. Plan. The planning stage includes permitting with your local municipality and county. This permitting confirms your project meets specific design guidelines and requirements. Many cites and counties in Washington State, including Port Angeles and Sequim, have rebates for homeowners building rain gardens. This section of your plan would include locating below ground utility lines and other infrastructure conflicts.Identifying the size, shape, and location of your rain garden is also part of the planning stage. To realize these design goals we observe current runoff and drainage patterns and measure current soil percolation rates. Building a rain garden that doesn’t meet your runoff and percolation goals isn’t a successful or sustainable design.During this stage we design the rain garden and create a plant palette or planting plan. The design will identify where water inlet and outflows from the rain garden. Our expert wetland botanists and arborists will develop a planting plan that delivers both aesthetic and functional qualities. Our planting plans create a link between your built environment and the natural landscape around us. Build. During building or construction of the rain garden, we lay out the design in the soil using stakes and ground paint. Using our permitted specifications we excavate the existing soil, replace it with approved Rain Garden Biomix Soil, and inhibit erosion by the addition of landscaping rocks and river rocks. A rocked inflow and outflow is developed at this time. Plant. Planting is our favorite phase. Our planting plans incorporate both native and ornamental specimens. We cover the entirety of the landscape, in different layers of canopy and diversity: grasses, sedges, rushes, ground covers, shrubs and small trees. 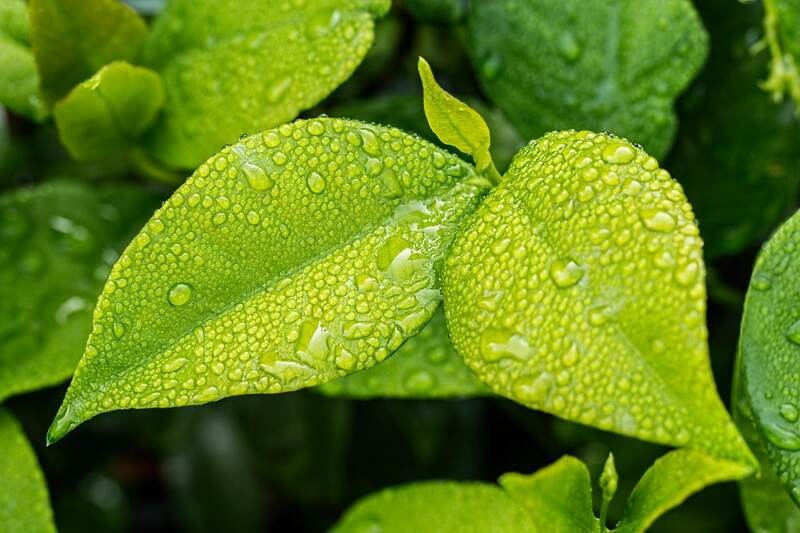 We plant the “Right Tree in the Right Place”, meaning we select plants suitable for planting zones and different levels of water submersion during the year. Once everything is planted we mulch the exposed soils and water. Maintain. Maintenance could be the most important phase of your rain garden. By pro-actively maintaining weeds, providing subsequent mulch and water, and clearing the inlet and outflow your rain garden will last into perpetuity. Our arborists and plant health care specialists can help sustain your rain garden year after year. Justin Vendettuoli received his B.S. in Wildlife and Conservation Biology from the University of Rhode Island, with a research focus on ecological impacts of invasive species. After relocating to Washington State to work in conservation and discovering a love of wetlands, he expanded his education with the University of Washington’s Wetland Science and Management certification program. Since joining Peninsula Urban Forestry’s team Justin has aided in environmental consulting and permitting, and supported the GIS and Mapping aspects of the firm. Justin further diversifies Peninsula Urban Forestry’s ecologically comprehensive team by bringing research expertise and a passion for wetlands.